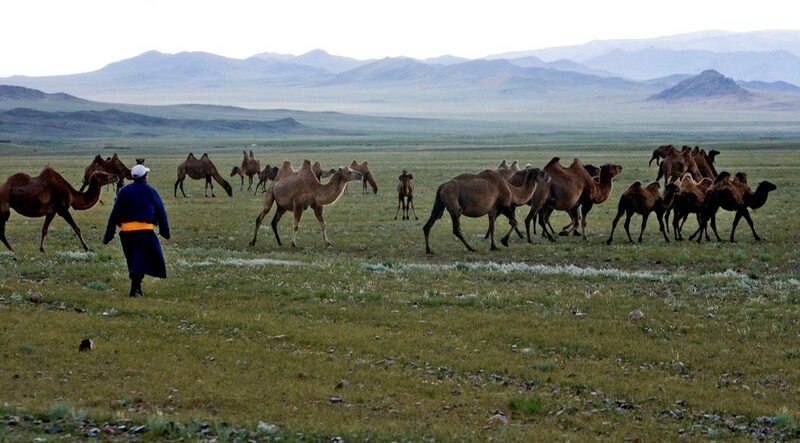 Climatic variability appears to be a major driving factor of livestock dynamics in Mongolia. The rising temperature and uncertainties in rainfall associated with global warming are likely to increase the frequency and magnitude of climate variability and extremes. Changes in climate increase the risk of unexpected changes in nature and environment. The greater the rate and magnitude of change, the greater the risk of negative impacts. In response, the nomadic herders of the Central region of Mongolia have developed their own specific knowledge and practices for adaptation to protect soil and combat pasture degradation and desertification. These include seasonal migration, long distance migration, herding of different kinds of livestock and taboos and rituals that preserve different resources. The research proposed by the International Institute for the Study of Nomadic Civilizations focuses on the Bulgan and Uvurkhangai aimags, areas of open steppe landscape and water source for the longest river in Mongolia. It seeks to understand traditional knowledge and practices in relation to land degradation, desertification and promoting sustainable livelihoods of the rural people of the Central Region of Mongolia. For more information about the International Institute for the Study of Nomadic Civilization, Click here.